We are most eminent manufacturers & supplier of a comprehensive range of O Rings. Available in a choice of seven basic materials, our given rings are designed at our sound manufacturing unit by utilizing high-grade material. These rings are tested on quality provisions in order to deliver a flawless range. The provided range rings is applauded for its quality. Rubber O-Rings are one of the most common seals used in machine design because they are inexpensive, easy to make, reliable, and have simple mounting requirements. 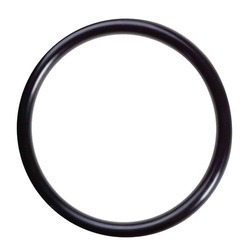 The Rubber O-Ring may be used in static applications or in dynamic applications where there is relative motion between the parts and the O-ring. Dynamic examples include rotating pump shafts and hydraulic cylinder pistons. Temperature Range -30 to 180 Deg. Cel. Fluorocarbon is an all around material that can handle a number of applications, especially diverse sealing jobs that involve movement. It is also suited for petroleum oils, silicone fluids and gases, acids and some halogenated hydrocarbons, like carbon tetrachloride. Fluorocarbon o-rings are very versatile, and features in many different automotive, appliance and chemical processing industries. 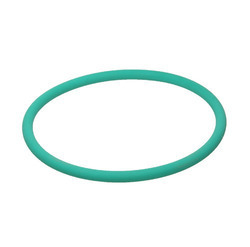 Silicon O Ring is generally non-reactive, stable, and resistant to extreme environments and temperatures while still maintaining its useful properties. The material is also very sensitive to fatigue from cyclic loading. It is a highly inert material and does not react with most chemicals. High temperature fuel injection ports can use Silicone o-rings.